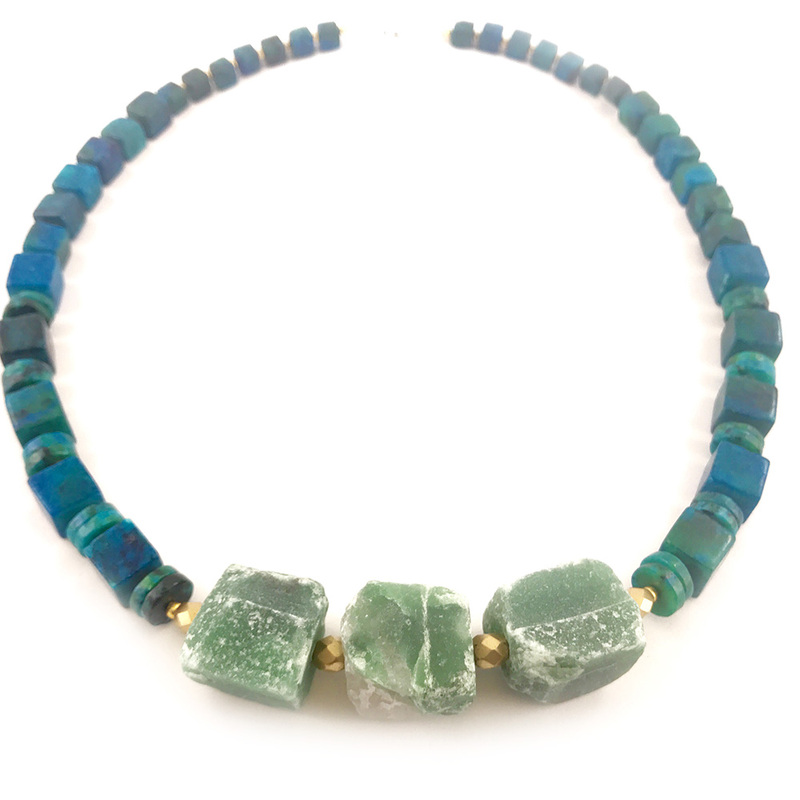 A stunning Chrysicolla & Raw Aventurine gemstone statment necklace with Sterling Silver lobster clasp and findings. 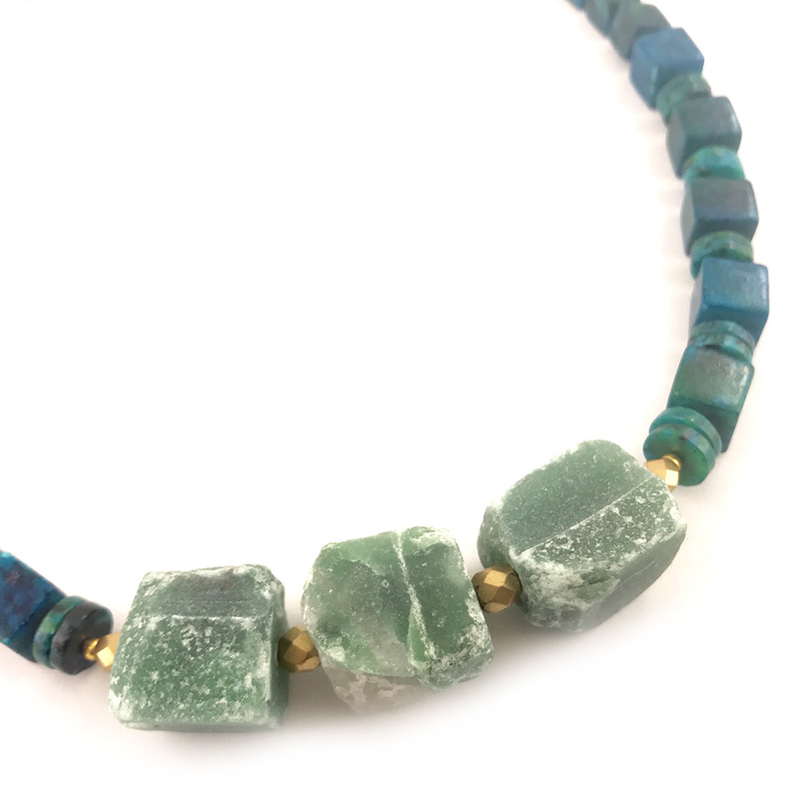 This is lovely big and bold necklace measuring approximately 21″, and supplied in a gift box. 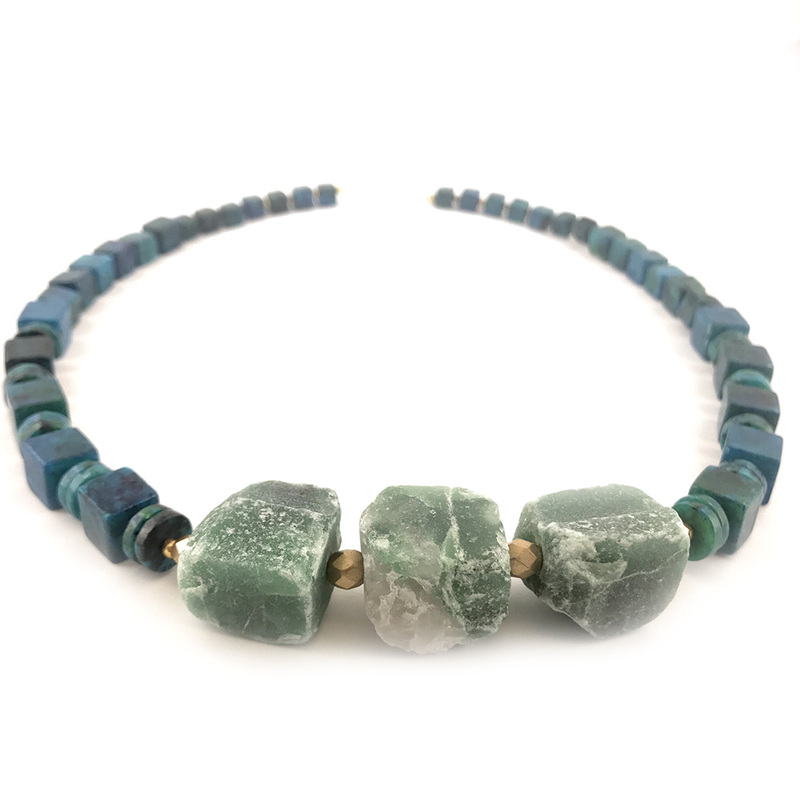 The centrepiece Aventurine gemstones are approx 20mm with the Chrysicolla measuring up to 12mm.